Dropbox said Tuesday one of its employee’s accounts was compromised, leading to a raft of spam last month that irritated users of the cloud-storage service. 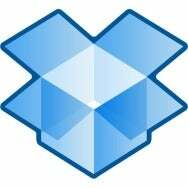 A stolen password was used to access the employee’s account, which contained “a project document with user email addresses,” Dropbox engineer Aditya Agarwal wrote on the company’s blog. The company also found that usernames and passwords that had been stolen from other websites were used to access “a small number of Dropbox accounts,” Agarwal wrote. Hackers commonly try username and password combinations from breaches on other web services in hopes people use the same combination, a common security problem. The spam, written in German, English and Dutch, advertised gambling websites and seemed to affect only European users. Many of those users wrote on the company’s forum they had used a unique email address solely for Dropbox, leading to suspicions the company had been hacked. Dropbox brought in an outside security team to investigate, but maintained on July 21 that it had found no intrusion of its internal systems or other compromised accounts. In light of the breach, Dropbox said it plans in a few weeks to introduce two-factor authentication, such as a system that would send a temporary code to a person’s phone. Other planned upgrades include a new page that will show logs of user account activity and other “automated mechanisms to help identify suspicious activity,” Agarwal wrote. Users may also be prompted to change their password if it has not been changed in a long time.